Having spent a lovely weekend looking at wedding gowns with a dear friend, this week's Wedding Wish Wednesday couldn't be more appropriate. I am so excited to tell you this week's expert is none other than Mark Ingram - yes, the Mark Ingram. 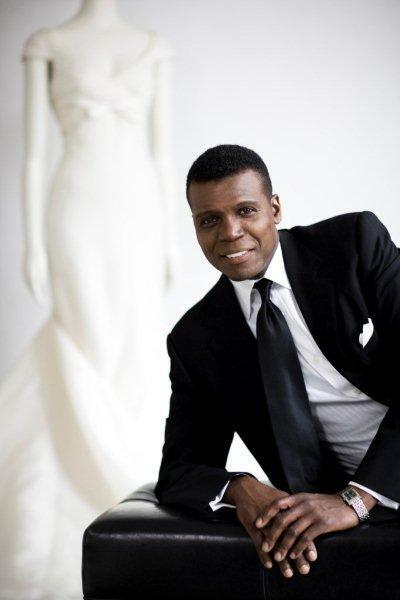 As you know Mark Ingram is the gown guru and the personality behind the most chic bridal salon in Manhattan. The Bridal Atelier is home to some of the most sought after names in bridal like Carolina Herrera, Oscar de la Renta, Vera Wang, Marchesa, Monique Lhuillier, Jenny Packham, Angel Sanchez, and Lela Rose, just to name a few. When to start: Although it is understandable to want to start shopping right away for your gown, it is imperative to finalize a date and a venue for your wedding before you begin shopping. The time of year and location truly dictate the theme and style of your overall event and your gown. A gown for a morning garden wedding and a gown for a formal evening ballroom affair are very, very different! Also, do your research before you begin by collecting tearsheets from bridal magazines and websites of styles you like. 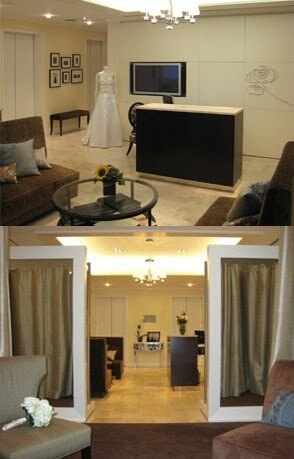 Where to shop: You should begin your shopping process at a reputable bridal salon that carries gowns that are in your budget. Make sure you ask about their price range, fitting costs and selection while making your appointment. Asks your friends and family, where they shopped and where they had the best experience. You are not making a one time purchase at a salon, but may be going back for fittings and accessory appointments. You want to make sure you feel comfortable and enjoy the atmosphere of where you will be spending so much time during your engagement. Who to shop with: In general limit your shopping companions to one or two people you trust and whose opinions matter most to you. Too many opinions may confuse you. If you feel you need to include all of your bridesmaids, you can always bring some of them back for a fitting or two. Selecting the gown: Don’t reinvent yourself on your wedding day. Be true to your own style. Make the process, not just the day, memorable and enjoyable. Image via New York Magazine. i love the top photo! so gorgeous! That first dress is incredible! Some excellent advice there, especially the bit about choosing the venue first. I always advise all of my couples to make that priority nember one.